2000 Homerun Hitter Promos - Complete Set! 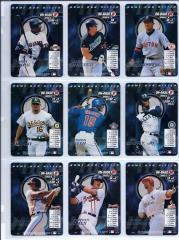 All 14 Home Run Hitter cards given out for participation in league play. All cards are in EX to NM condition with at least 95% of the cards being NM. They are stored in 9-Pocket pages.